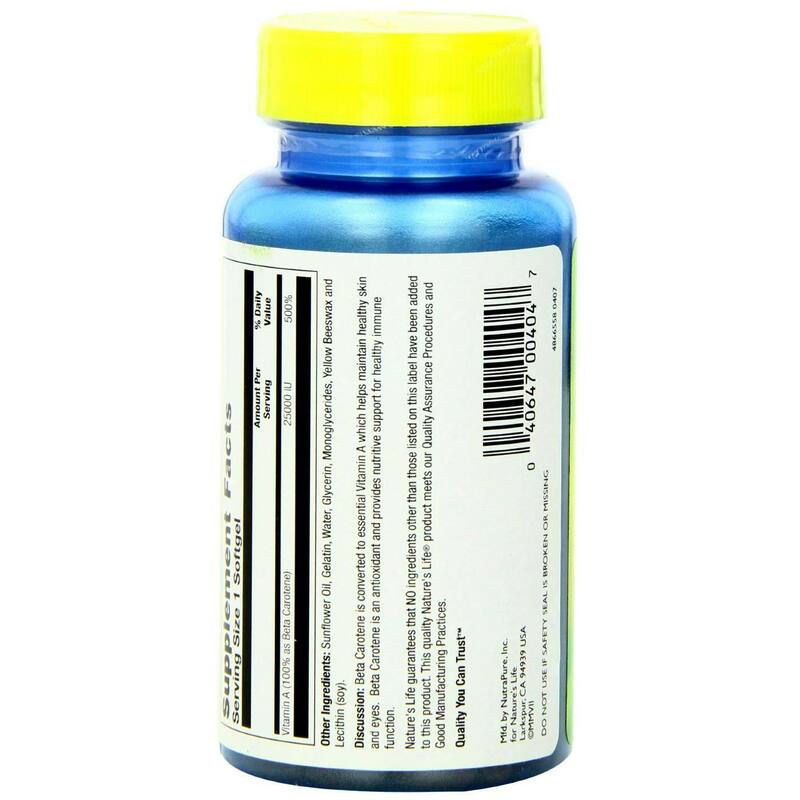 Beta carotene is converted into vitamin A within the body, making it an essential daily nutrient to protect the body's cells, tissues and organs. 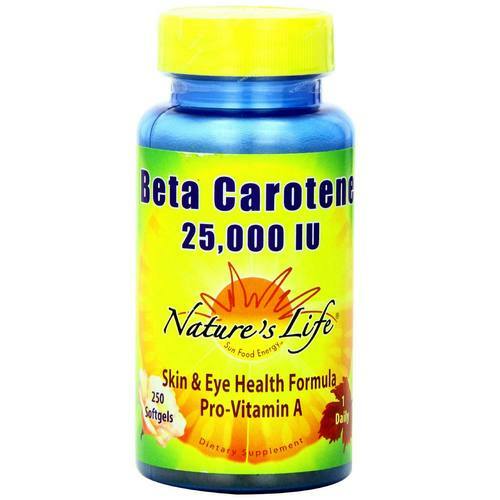 Beta Carotene 25,000 IU from Nature's Life is a daily supplement to ensure you're getting adequate vitamin A.
Vitamin A is especially beneficial for the eyes, helping to combat degeneration to keep vision sharp. It also supports the skin's structure. 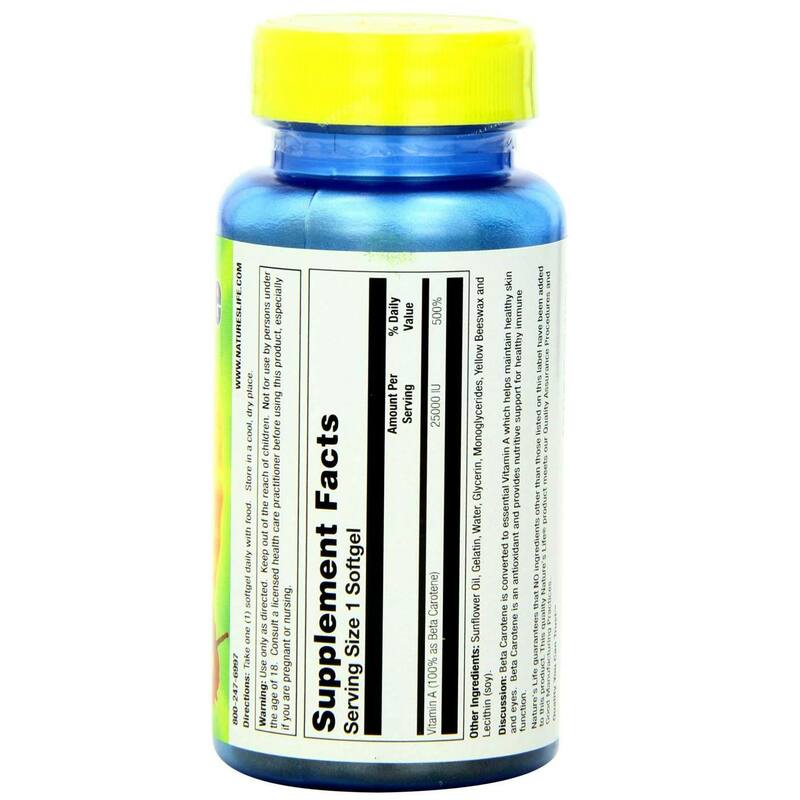 Taking Nature's Life's Beta Carotene 25,000 IU is a natural way to support these tissues while also strengthening the immune system to protect the body from free radical damage. 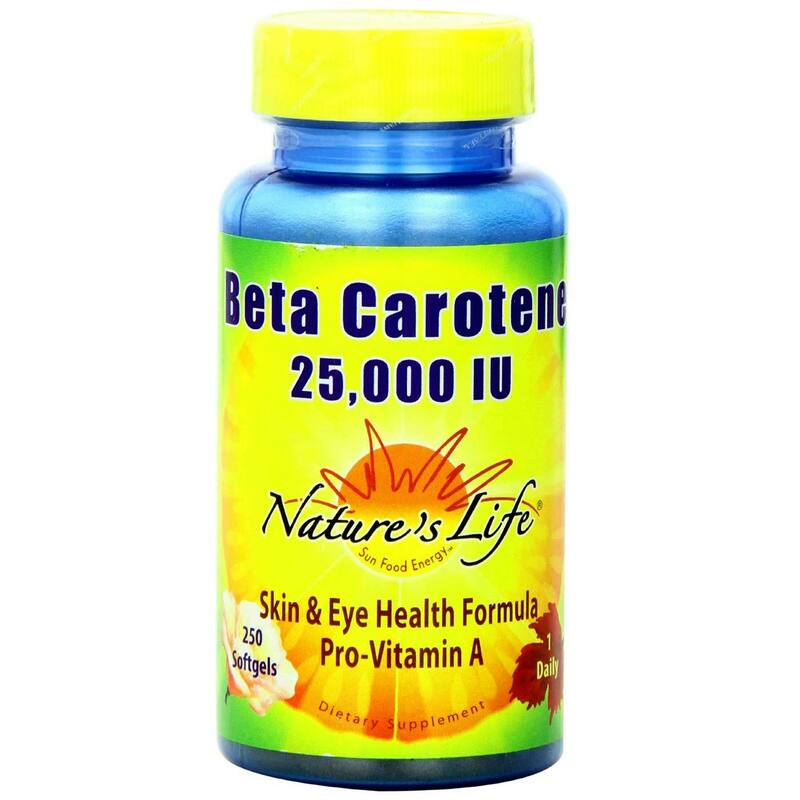 Get all the vitamin A you need in one daily dose with Beta Carotene 25,000 IU from Nature's Life. Try it today at eVitamins! 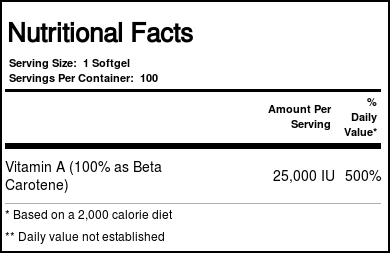 Recommended Use: Take 1 softgel daily with food.